Cockroach and bed bugs both cause irritation when seen. Though there is a difference between both of them. Cockroaches are an ancient group of insect dating back at least as the Carboniferous period, which can be considered as about 320 million years back. They are flat and oval-shaped insects. They can be almost found anywhere where there is an adequate supply of food. Bed bugs are small, flat and oval-shaped insects. Bed bugs can’t fly and have no wings. They simply rely on humans to carry them from one place to another. They feed on blood from humans or animals. They are mostly active at night; they feed on their victims when they sleep. Colour: Roaches are more of dark brown color whereas the bed bugs are mostly of reddish brown in color. Shape: Roaches are flat and oval shaped while bed bugs are small, flat and oval-shaped insects. Bite: Roaches normally don’t bite people, but in rare conditions, roaches bite. But, bed bugs are blood biting insects. Movement: Most species of the roaches can fly. But, bed bugs can’t normally fly and they crawl. 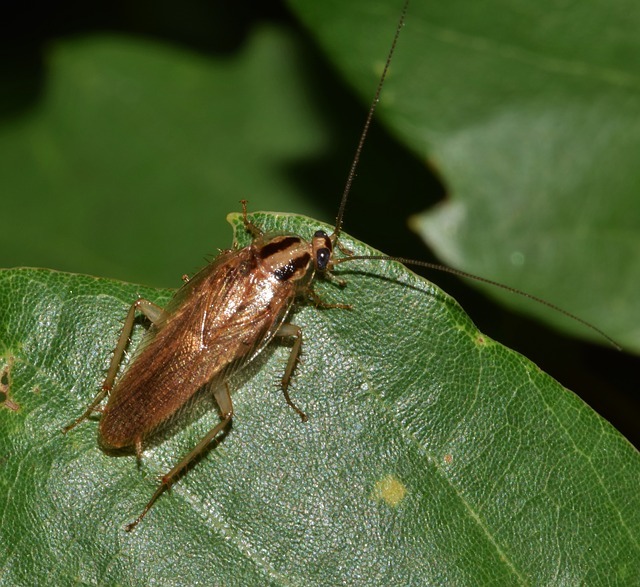 Size: A roach has an average length of around 4 cm and is about 7mm tall. Whereas, an adult bed bug is approximate of an apple seed. Above mentioned are some of the differences between roaches and bed bugs. It helps in determining how bed bugs are different from roaches. Roaches may have 6 legs, more or less. Check this article to know more about how many legs do cockroaches have. Roaches can have two antennae, which may vary from different species. Read here more about cockroach antennae. Roaches have wings. But, not every roach flies. Roaches grow in different sizes. Bedbugs are insects which can’t fly and is of a small oval in shape. Adult bedbugs are reddish brown in color. Nymphs bright red after feeding and are clear in color. Bed bugs can’t fly. However, they are able to crawl rapidly. Roach bite will normally not bite the human. They will bite human only if it smells food. Roach bites cause redness in the area. It can also create a bit of larger bumps on your skin. It can also cause a skin rash. It will cause swelling in the infected area. A cluster of bumps can appear at the site of the bite in a passage of time. You can get a bite with a red, swollen area and a dark red center. There can be blisters or hives at the bite site. Bites can be in line or grouped together in a smaller area. These bites can happen anywhere on the body. The most common places on which the bites may occur are the areas of the skin that are exposed while sleeping. In the end, I would like to conclude that cockroaches and beg bugs both are dangerous for health. They carry bacteria and often are exposed to the food which is eaten by us. So, proper cleanliness should be maintained. Proper ways to get rid of these insects should be taken in order to avoid diseases.